Not to be confused with the Siberian Husky, the Alaskan Husky is more of a mix of sled dogs rather than a pure breed in its own right. For hundreds, if not thousands of years, the Alaska region was home to native dogs. The Alaskan Husky has a varied genetic history that descends from these native dogs, as well as other breeds such as the Siberian Husky and Alaskan Malamute. Neither the AKC nor UKC recognise the Alaskan Husky as a breed. 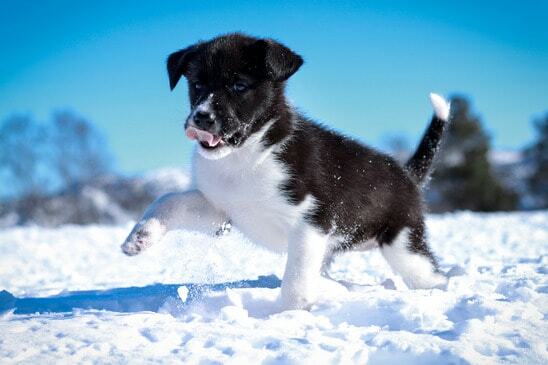 Rather, the Alaskan Husky can be thought of any mixed breed of dog bred primarily for sledding. 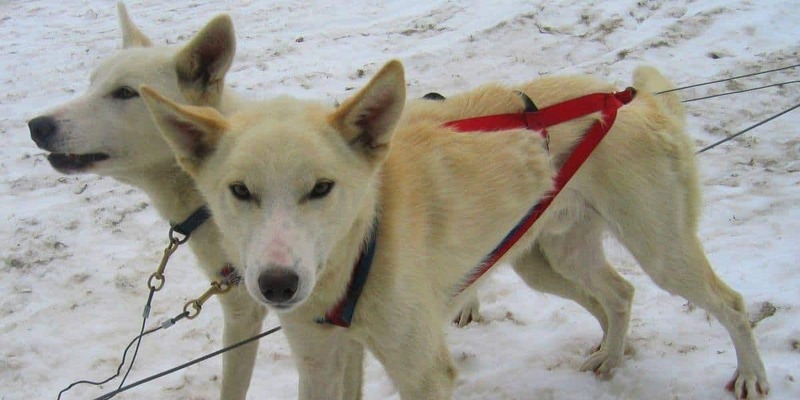 For more information on the history of the Alaskan Husky we recommend visiting Sled Dog Central where you can find out more about how the Alaskan Husky came to be. Compared to the Siberian Husky, the Alaskan Husky will grow around the same height or a little larger than Siberians, but tend to weigh a little less. Their leaner body is perfect for the endurance of sledding, and you will find them running longer distances than a pure Siberian Husky. They are a working dog in all respects. Because of their varied genetic makeup there is no particular coat or eye color, marking, or coat texture consistent between Alaskan Huskies. They will live to a similar age of the Siberian, 12 to 15 years old. If you thought Siberian Husky puppies were difficult to train and keep exercised, the Alaskan Husky is even more challenging. Their true work-dog nature means they are full of energy from an early age, and need a lot of activity to keep them entertained. For this reason the Alaskan Husky is not recommended for new dog owners. Owning an Alaskan Husky has been described as “like having a 2 year old child for 15 years”. However if you have the lifestyle to match their up-tempo behavior, and patience to train, they can be as rewarding as any other canine companion. Finally it is worth mentioning the Alaskan Klee Kai. The AKK is a smaller dog, often mistakenly referred to as a miniature Siberian Husky, when in fact they are a different breed in their own right. Their genetic history includes influence from Alaskan Huskies, but in a smaller, more manageable package. They are a fairly exclusive breed and waiting lists can be long. For more information check out our information on smaller Husky breeds.